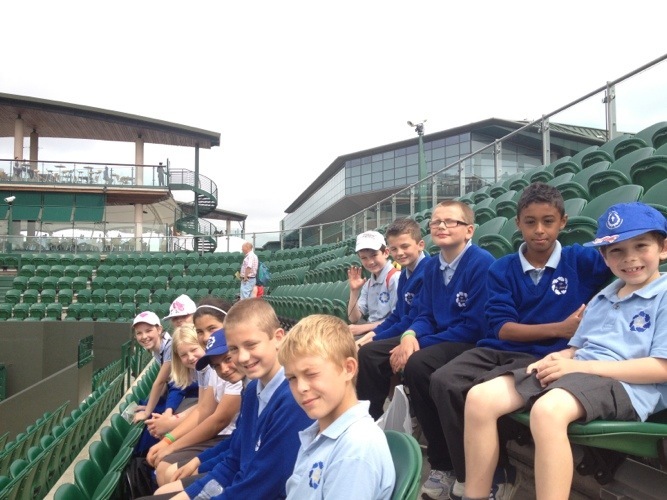 We are at Wimbledon about to enjoy a fantastic day. We have 4 tickets for Court 3 and a chance to play at the indoor centre! Everyone is very excited! !